Celebrate the MINI Lunar New Year Event. Looking for a great deal on your next MINI? Now’s the time: MINI of Escondido is proud to offer an exclusive Lunar New Year offer. Come visit us on February 9th and February 10th to usher in the new lunar year by test driving one of our many MINI vehicles. How Do I Take Advantage of the New Lunar Year Event? Register to RSVP to the MINI Lunar New Year event on Saturday, February 9th and Sunday, February 10th and test drive one of our MINI cars. $1000 incentive toward a new MINI. Take the drive from San Diego to our dealership in the Escondido Auto Park to enjoy this deal. Ready to Trade In Your Current Vehicle for a New MINI? At MINI of Escondido we pride ourselves on offering great prices on great vehicles. Use our KBB Instant Cash Offer tool to value your trade-in, so that your next Cooper Countryman or Cooper Clubman becomes that much more of a bargain. $1000 above the KBB instant cash offer. Make your already-affordable MINI that much more of a bargain by welcoming the new year with us. Why choose MINI? Well, these sporty British cars aren’t just little hatchbacks; they’re comfortable, high-tech, and surprisingly spacious vehicles. The 2019 MINI Cooper Countryman offers over 45 cubic feet of cargo space and intuitive infotainment features. And beyond luxury and space, MINI vehicles pack some pep. Select configurations of the 2019 MINI Cooper Clubman spit out an impressive 0 – 60 MPH time of 6.0 seconds – performance specs competitive with luxury exotic cars. It’s no wonder, then, why critics echo what Temecula drivers have already known: MINI vehicles are the real deal. In 2017, J.D. Power gave the MINI Cooper the highest rank for a vehicle in its segment. And in 2018, IIHS gave MINI vehicles a top safety pick. So whether you’re headed out to Carlsbad for grocery shopping, or you’re looking to race down San Marcos streets, you’ll know that your MINI has all of your automotive bases covered. 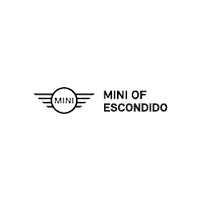 Visit MINI of Escondido to Enjoy the Lunar New Year Event! Ready to enjoy MINI of Escondido’s Lunar New Year event? Simply complete this contact us form to RSVP for our event. In the message box, mention you are registering for the test drive event on February 9th and 10th. We look forward to seeing you. 0 comment(s) so far on Celebrate the MINI Lunar New Year Event.